The tendency to turn into a crazy person when it comes to games of the heart is tempting. Even a person who's sanity is intact can fall victim to actions suggesting otherwise. The reason stems from vulnerability. Vulnerability can provide us with the chance to create a meaningful connection. But allowing someone else to see you naked (in a strictly spiritual sense! ), involves exposing ourselves to the risk of being shot. 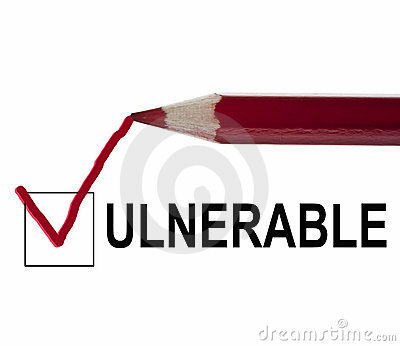 The typical thought regarding the nature of vulnerability is that the more we expose ourselves, the more we have to lose. This isn't necessarily true as it becomes completely dependent on how strong an individual's identity is prior to making themselves vulnerable. If a person knows who they are as an individual, then the likelihood of conducting oneself in a mature manner in relationships grows to be higher. A cut to our ego hurts as well as the pain stemming from losing a person you care about. This pain leaves us feeling robbed and those feelings allow anger to easily flourish. Whilst there is nothing wrong with anger as an emotion (it can be the source of utmost creativity), there is nothing worse than acting in a crazy towards anyone that has hurt you. Not only does it demonstrate a version of yourself that no body wants to be with but it might affirm to the person that hurt you that they don't need to feel guilty about it. Acting with maturity and rational thinking allows us to take control. It allows us to exemplify to people that we deserve better than what they have given us. It permits people who have hurt us to see how they themselves have issues. Do not allow them to be proven right. Everyone deserves respect and to be loved yet no one will believe that about someone unless they conduct themselves with maturity.